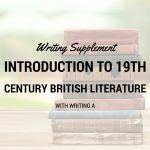 Lightning Literature: Early-Mid 19th Century British Literature from Hewitt Homeschooling, adapted to fit the needs of modern gifted learners. This is semester-long high school course. 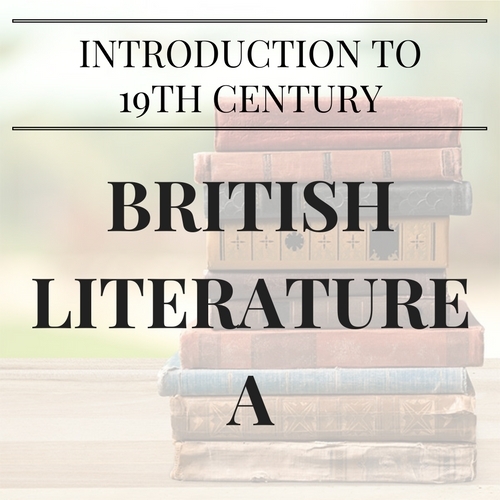 Lightning Literature: Early-Mid 19th Century British Literature from Hewitt Homeschooling, adapted to fit the needs of modern gifted learners. This is semester-long high school course. Weekly webinars are 50 minutes long. Recordings are available for students who must miss a session. All original text versions of these novels are acceptable, including graphic novels and comics that include unabridged text. These may be available at your local library, or can be purchased from our resources page. Aimed at students ready for work appropriate to grades 9 through 12. 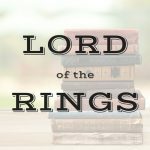 This is a high school literature course open to strong readers who are prepared to read and discuss literature at a high school level. Previous high school level Lightning Lit, or equivalent literary analysis experience. Shakespeare courses especially recommended. Student must be able to read fluently at the high school level or above. Student should also be able to write a paragraph independently. High school level writing is not required and composition instruction will not be covered in the course. Students who wish to include writing with this course should enroll in the Writing Supplement.